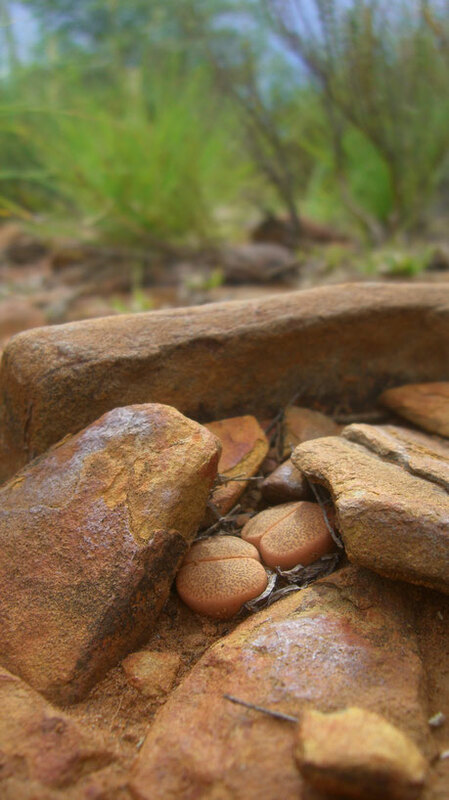 We support a Lithops Project, in which a Finish / South African team investigate the extent and evolution of locally optimized camouflage coloration in the genus Lithops. 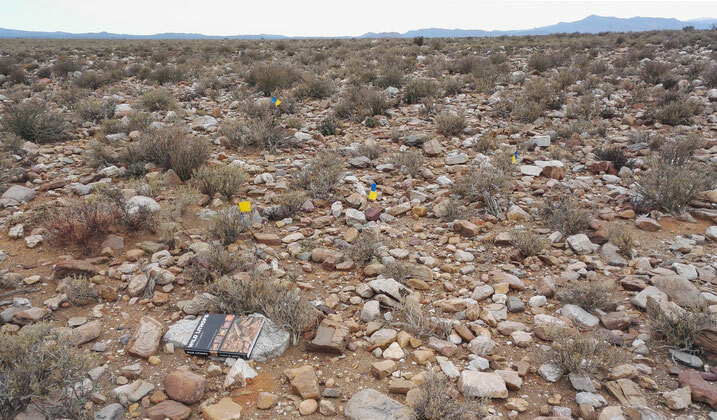 They use hyperspectral and multispectral camera equipment for making detailed comparisons of the visual properties of Lithops species and the soil on which they grow across numerous locations in southern Africa. The picture was made while searching for Lithops localis. May 2018: We just returned from our 19. Lithops Safari. The new Locality List can be reviewed at section Update. has been launched on Aug 21, 2017 in Göttingen, Germany. 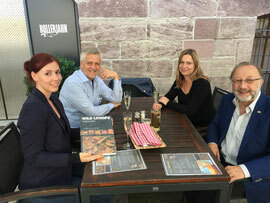 From left: Isabell Seeger, Harald Jainta, Noreen Hirschfeld, Klaus Hess. Lithops are called “Living Stones”. They are tiny, highly-specialized succulents from southern Africa. Indeed, they are very remarkable plants. In plant kingdom, they are exceptional and extreme examples of camouflage and perfect adaptation to the harsh desert climate. Lithops are truly hard to find in nature. 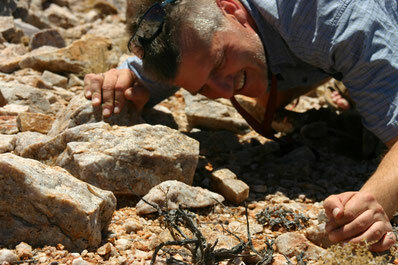 Beginning in 2003 we often travelled through Namibia and South Africa to systematically document habitats of Lithops. So far, and in 16 trips, we could document 315 colonies. 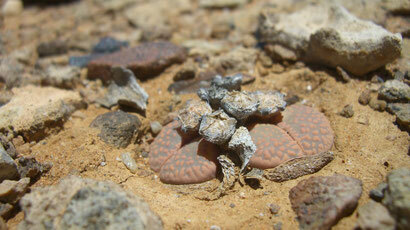 This web page is aimed introducing into the project "Wild Lithops". It shall show the natural beauty of the plants and inspire other interested people. We hope to get closer to such people supporting natural conservation who like to get in touch with us. It is also intended to use this platform for a network of field researcher. We, Anja & Harald Jainta, live in Quickborn/Germany and fell in love with southern Africa. Lithops in nature got our passion. Anja searches and usually finds the plants, Harald studies them intensively, both we made numerous photographs. 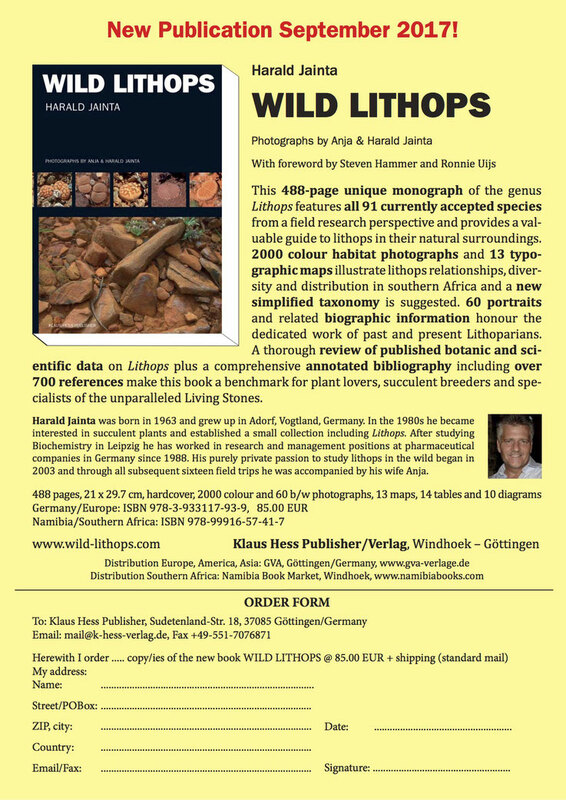 The essence is shown in the book "Wild Lithops", a new monograph, dedicated for "Lithoparians", nature lovers and friends of Namibia, South Africa and it's desert wonders.